New Smear Safe™ feature provide smear protection across most pen, marker and inkjet inks. Durable tip for smooth highlighting- won’t fray. Sturdy clip for your pocket, organizer or binder. 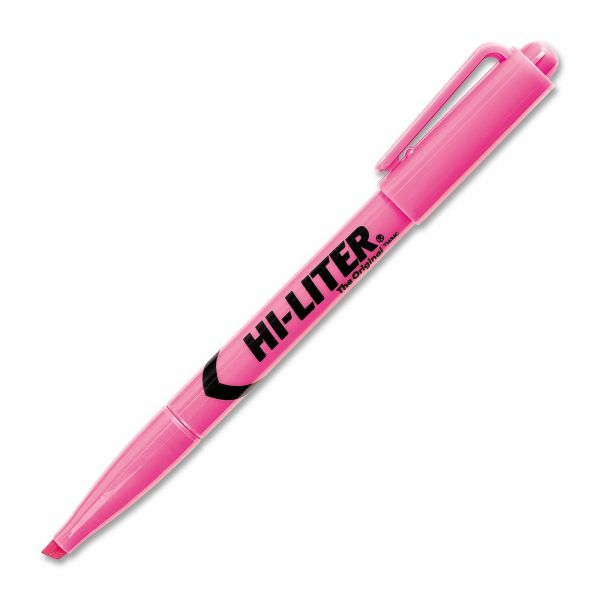 Hi-Liter Pen Style Highlighters - Make words and phrases stand out with eye-catching color. This convenient Hi-Liter lets you accent important ideas so you can find them easily later. The brilliant fluorescent color stands out against the page, drawing your eye quickly. It is nontoxic for added safety. The pen-style construction makes the highlighter comfortable to handle and features a narrow barrel and a removable cap. It won't fray or mush. The handy clip lets you easily carry it in a pocket, tote bag or organizer.